Meal plans provide a clever way to save money on food. Knowing the meals that will be made and which ingredients need to be purchased for these recipes eliminates floundering and impulse purchases at the supermarket. Knowing exactly what to buy and when also can eliminate food waste and spoilage. According to research from the University of Pennsylvania, people who can avoid impulse spending can save up to 23 percent on their grocery bills. Planning meals in advance can also provide a host of health benefits. When meals are planned in advance, shoppers have more control over the ingredients they choose and can tailor them to specific dietary needs or healthy eating plans. Fortunately, time-pressed individuals have a number of resources at their disposal to help them plan and shop for meals. A quick online search for weekly meal plans will yield many results, including recipes and complementary shopping lists. People also can download apps that help with meal planning to their smartphones. Such apps include Yummly, Pepperplate and MealBoard, among others. Another way for individuals to plan meals more effectively is to take a few moments on the weekend to think about which meals to make during the week ahead. Compare the necessary ingredients against those you may already have in your pantry. The rest can be purchased and saved for subsequent meals. Buying a week’s worth of groceries in one shopping trip is more efficient and can help to conserve fuel. When planning meals, try to use the most perishable items first. For example, prepare to use seafood, some dairy items and fresh vegetables early in the week, and more durable foods, such as frozen, boxed or canned goods, later in the week. When buying foots at the store, buy proteins in bulk and subdivide them into smaller packages to save money. Properly repackage foods so they will not spoil or become freezer burned, leading to waste. Other budget-conscious shopping tips include trying store brands, building meal plans around items that are on sale that week and making use of coupons or coupon apps. Post a weekly meal plan on or near the refrigerator so items can be thawed and ingredients prepared as needed. Building meals around slow cooker recipes also can help those who like to prep foods in the morning and then come home to completely cooked meals. On busy nights, arrange for fast meals, such as sandwiches or one-pot creations. 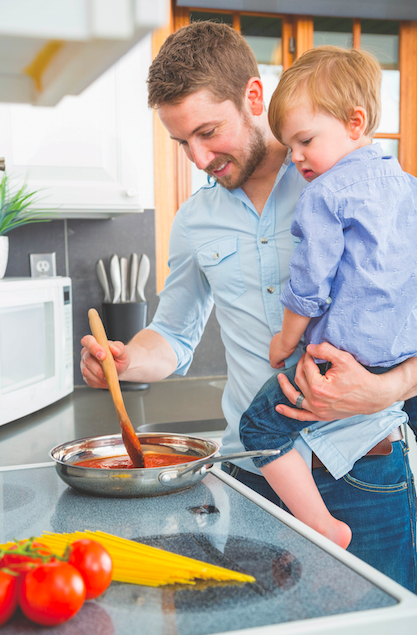 By planning meals in advance, home cooks never have to stand in front of the pantry wondering what to make.